Food delivery websites have revolutionised the dining scenario in our cities and we love it! Your favourite restaurants, your favourite dishes and your favourite snacks are now happy to give you home visits, and you can enjoy and eat without having to step out, dress up, and act civil. And to add icing to the cake, you can save tons of money on your food orders by using the coupons GreatBuyz has to offer for these food delivery websites. With fabulous deals, more for less offers, free delivery and speedy service, discounts and cashback, every order placed using the GreatBuyz app or website is going to bring in a home delivery of happiness. Below is the list of the Top 10 Food Delivery Websites in India of 2018. 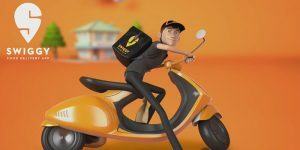 One of the first online food delivery options launched in India, Food Panda has its presence across 50 countries worldwide. With over 15,000 restaurants including Domino’s, Pizza Hut, KFC, McDonald’s, Foodpanda India’s website brings a variety of cuisines like North Indian, South Indian, Mexican, Chinese, Thai, Continental and your favourite Biryani at your doorstep. They have an anytime delivery model that ensures whether it is morning, noon or midnight, you get what you want to eat, at the comfort of your home or office. They accept payments via all major wallets like, Paytm, Mobikwik, Freecharge or you can also choose COD while ordering your food. Follow Foodpanda Streamz on GreatBuyz to stay updated to their latest news, sales,offers and more. 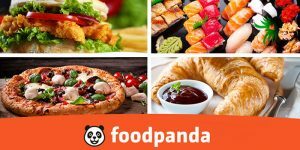 Get Foodpanda coupons on GreatBuyz for your Online Shopping. 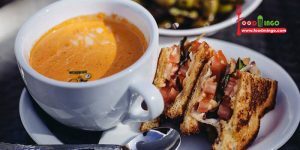 You’ve used Zomato to pick a restaurant for the perfect date night, while selecting the ideal brunch place to catch up with your friends and to get reviews on the family diner your friends suggested you take your parents to. But now, Zomato is here to give you company while you choose to stay home and order in while you cosily cuddle on your favourite couch. Yes, Zomato’s food delivery option is one of the brand’s most successful offerings and now delivers from 25,000 restaurants of which 9000 are exclusive to Zomato. The best part about Zomato’s food delivery interface is that it shows the trusted Zomato ratings allowing you to experiment with something new based on user reviews and of course the deals it offers on deliveries. Click here to order food from Zomato. 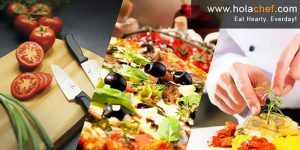 Click here to get Zomato coupons on GreatBuyz. Swiggy is a convenient food delivery service that works heavily on location and tracking. It’s a must have for all those who love to gorge on delicious food in their neighbourhood without waiting for a table or queuing up to get a reservation or pick up a parcel. Ordering food on this website is simple and it allows you to track your order making the whole process much more fun. Most importantly, it doesn’t have a minimum order value so you can order as much or as little as you like. Happiness at your fingertips we say! Follow Swiggy Streamz on GreatBuyz to stay updated to their latest news, sales,offers and more. Get Swiggy coupons on GreatBuyz for your Online Shopping. 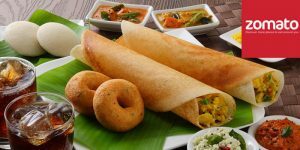 Currently operating across Hyderabad, Pune, Bengaluru and Aurangabad, Food Mingo joined the food delivery scene in 2012. The FoodMingo website not just allows users to order food online but also offers the facility to book tables at restaurants of their choice. 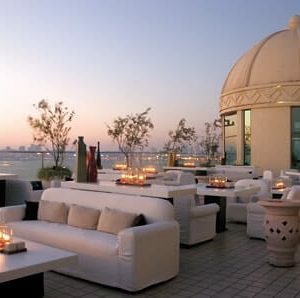 In addition to these, it offers coupons and deals from its partner restaurants in the cities it’s operational in. Orders can be tracked in real time and the interface is easy to use and search in. A revolutionary intra-city delivery service operational in Mumbai, Scootsy delivers from not just the best restaurants but also food stores, book shops, toy stores, fashion outlets, gift shops, sport stores and more. 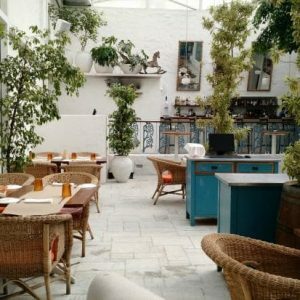 Aided by tastemakers who ensure you always get the best picks from what the city has to offer, food and products available on Scootsy are carefully curated to serve discerning customers. They usually ensure that you get what you want within an hour, however, a lot depends on the product you need. Their delivery service is available only in Cuffe Parade, JVPD and Powai/Ghatkopar currently, but we are hoping their expansion plan works out real soon! Hola chef is a unique delivery service that delivers dishes that you didn’t know could be home delivered. It curates a range of gourmet and regional Indian packaged foods as well that will make your dining experience even more delightful! Expect hot, fresh and tasty food from a curated range of by select chefs who cook their signature regional cuisines for breakfast, lunch, evening snacks and dinner. While you can place online food orders in Mumbai from various joints through Zomato, Swiggy or Foodpanda, you can’t eat restaurant food every day. At Holachef, you can order food online in Mumbai that feels light on the stomach and you can eat it daily. The ingredients used are fresh and delivered hot in a world class packaging. They also have a crafty range of unique Indian and English desserts, soups and salads, refreshing drinks such as buttermilk, aampanna, jal jeera and more. In their gourmet range of packaged food they deliver a wide variety of jams, conserves, dips, sauces (schezwan, soya, sweet onion, etc), pickles (aam ka achar, garlic pickle, hari mirch achar), honey, chips, nachos, khakhras, chakna, popcorn in cheese, caramel, chocolate and classic flavor, cold pressed juices (orange, mango, sugarcane, pomegranate, mixed fruit, vegetable juices), roasted peanuts, Indian namkeen, yogurts, munchies, dried fruits, cookies, biscuits, ice creams, snack items and a lot more! If you are craving for a freshly cooked meal without the hassles of cooking or stepping out, then FreshMenu is a good option for you. 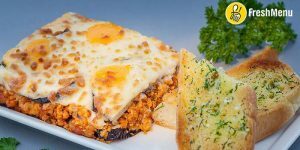 Serving world cuisine meals cooked with fresh ingredients, with tons of healthy options, deserts, soups, salads and everything you can imagine, cooked by expert chefs, and delivered right to your doorstep. FreshMenu is a must try for those who are bored of the regular options available in the market. They change their menu daily so there is less repetition, and the food is delivered at lightning speed ensuring your tacos are still crisp and the pasta looks as appetizing as you would have got in a restaurant. Give it a shot! 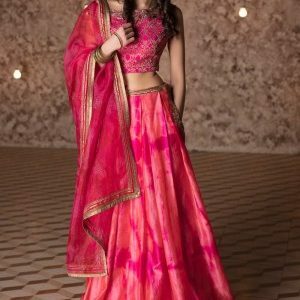 Get Freshmenu coupons on GreatBuyz for your Online Shopping. A ‘Made in India’ brand for sumptuous Desi meals, Box8 offers Indian food, infused with spices and delicate flavours, made with the right ingredients delivered to your doorstep. The food not just delights your taste buds but also satiates your desire for something more. With all-in-one meals, a Fusion Box, Biryani, Paratha Wraps, Sandwiches and more on offer, its like a comfort food delivery service for desi food lovers. BOX8 also has a late night delivery option, operational till 1 AM. 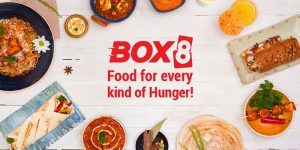 Currently serving in over 60 locations across Mumbai, Pune and Bengaluru, thousands of people satiate their taste buds every day with Box8. Click here to get Box8 coupons on GreatBuyz. 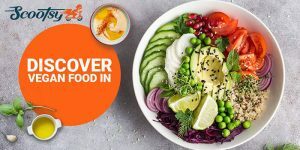 A single point to order all your food – breakfast, brunch, lunch, dinner, starters and desserts, Faasos is a convenient option with quick delivery. With 10,000 orders delivered in a day across India, and a recorded growth rate of 20-25 per cent month-on-month, Faasos’ pan India operation is a hit amongst youngsters and office goers. 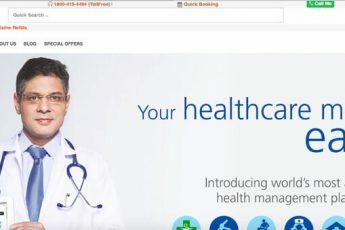 It operates in 16 of the largest cities in India. 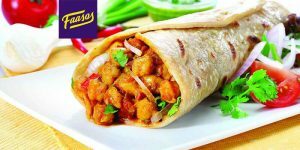 For some great deals click here to see offers and coupons of Faasos on GreatBuyz. 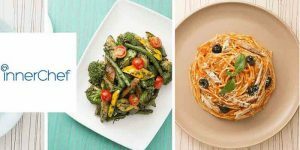 InnerChef offers ready-to-eat meals, gourmet do-it-yourself recipe kits (InnerChef DIY gourmet), detox cleanses and healthy eats (InnerChef+) as well as decadent desserts (Indulge by InnerChef). Whether it’s a chole bhature or egg oats chila, or butter chicken or veg korma you crave, you can order a freshly cooked meal online with InnerChef and enjoy it from the comfort of your home. And if the only thing between you and your diet plan is the process of making the soups, juices and salads your diet prescribes, then gift yourself a day with a healthy collection of all-day detox and breakfast detox diets from InnerChef that includes freshly pressed juices, smoothies, parfaits, salads, soups and more. If you are up for cooking, their InnerChef DIY Gourmet kits complete with chopped and prepped ingredients, dressings, sauces, etc. are the thing for you. All you have to do is follow the recipe and enjoy a delicious, warm, gourmet meal at home, at a fraction of a price. InnerChef also offers first-of-its-kind hyperlocal desserts made by talented home bakers and neighbourhood bakeries. This one we highly recommend you indulge in! Currently delighting foodies in Delhi-NCR, Bangalore, Hyderabad and Mumbai, InnerChef is a winner in many ways! With Netflix and Amazon Prime becoming our companions at home, ordering food online is a convenience none of us want to miss out on. Try these websites, and get yourself a sweet (or savoury) deal! Hi G-Beez, it’s very exciting to see the entire list you have mentioned in your article. I must say you have done a wonderful job here and all the apps you have mentioned are really helpful. 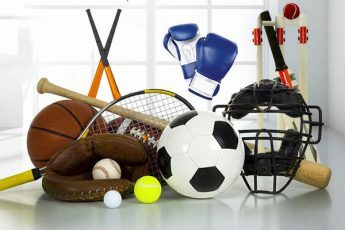 Thanks for sharing such a great article. 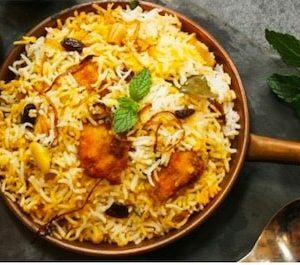 I also like to order food very often and few days back while searching online for the best food delivery service at home I came across to a website ItechIcare.com which is providing various home services at your doorstep.